The first reported foal by Frosted, a filly, was born on January 15th at Audley Farm in Berryville, Virginia. Bred by Audley, she is out of the multiple G3 winner and G1-placed Snow Top Mountain. Snow Top Mountain won or placed in 10 Stakes, including victories in the G3 Suwanee River Stakes and G3 All Along Stakes, and a second in the G1 Garden City Stakes. She is a half-sister to G2 winner/G1-placed Diversy Harbor, and five-time Graded winner Keertana (dam of G3 winner Ticonderoga). Snow Top Mountain is also the dam of G3 winner Greyvitos. Frosted, who raced in the royal blue silks of Godolphin, won the G1 Metropolitan Handicap, the G1 Whitney Stakes, and the G1 Wood Memorial Stakes, with additional placings in the G1 Belmont Stakes, the G1 Travers Stakes, and the G1 Woodward Stakes. 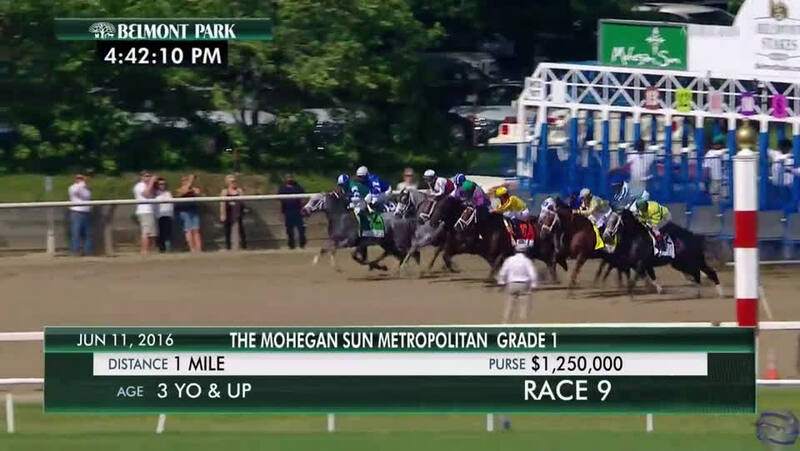 His win in the Metropolitan was one for the ages as he notched a 123 Beyer, the highest such figure over the past decade, and fastest-ever at a mile, while breaking the Stakes record in a fourteen and one-quarter-length romp. Frosted is out of the G2-winning Deputy Minister mare, Fast Cookie, also the dam of 2017 G3 winner Indulgent (by Bernardini). Fast Cookie is out of the G2 winning/G1-placed mare, Fleet Lady, and is a half-sister to Champion and G1 Breeders’ Cup winner, and Darley stallion Midshipman, and Blacktype winner Regia Marina (by Medaglia d’Oro). Frosted will stand the 2018 breeding season at a fee of $50,000.